Deer Ticks (also known as “Blacklegged”) are a common issue all across the United States, and Oklahoma is no exception. These blood-sucking pests are guilty of causing itching, irritating bites, as well as nasty infections like Lyme disease (AKA Lyme borreliosis) and Anaplasmosis. If you want to keep your family safe, you need to know about what causes ticks to come out, and the dangers they pose for you and your family. The process which brings ticks out begins with oak trees. Oaks produce acorns, which in turn attract mice. When oak trees produce acorns in abundance, the mice have a larger food source, which usually causes a population increase during the next summer. Ticks use these mice as hosts for food, and have a population boom of their own the following year. Unfortunately, the mice don’t remove the ticks, since the ticks don’t cause the mice to become sick. In addition, the mice are themselves vectors for disease, which infects the ticks when they feed off the mice, turning the ticks into disease carriers. Mice are capable of carrying 100 ticks, and studies show mice can infect as many as 95% of the them. Is Lyme Disease a Serious Health Concern? 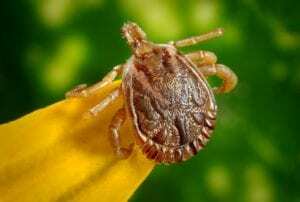 With every passing year, the tick population keeps rising, leading to more and more cases of Lyme disease. In fact, the EPA estimates since 1991, the number of cases has doubled. Even worse, there’s no sign of those numbers decreasing. Fortunately, in Oklahoma, Lyme disease cases are rarer than other parts of the country, but you certainly don’t want to risk contracting it. If you, a pet, or a loved one contracts Lyme disease, you can experience symptoms such as arthritis, tiredness, aching joints, migraines, fever, and even neurological complications. There is no known vaccine for Lyme disease in existence. What Diseases Are Common to Oklahoma? One of the more common of Oklahoma tick borne disease is Rocky Mountain spotted fever, or blue disease, transmitted by the American dog tick. While treatable, Rocky Mountain spotted fever has the potential to be lethal if not caught early enough. Some of the symptoms include muscle aches, vomiting, crusted skin, high fever, confusion, headaches, and nausea. 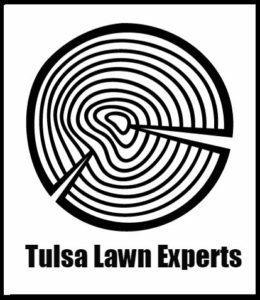 If you want to stay safe from ticks this summer, then contact a Tulsa yard company, and see if they have a tick treatment available.